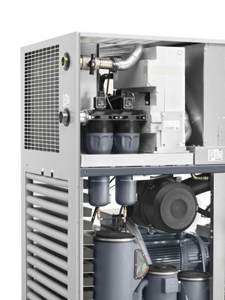 A refrigerated air dryer is a crucial component in your compressed air system because it not only reduces contaminants in your air output, but it also helps to prolong the life of your compressor. Refrigerated air dryers cool air to its dew point and then drain away the water droplets that form and collect. This eliminates a wide array of particulates that are found within moist air, providing cleaner air output. A reduction in moisture within your compressor also helps to reduce instances of rust and corrosion, which can prolong the life of your machine. For more than 25 years, A&W Compressor has been proudly serving Tennessee residents and businesses with exceptional compressed air sales and services. Let our experienced team find the right air dryer for your machine. Call or e-mail us today for more information on our refrigerated, membrane, and desiccant air dryer selection for your operations.